This is one of the best autobiographies you will ever read. 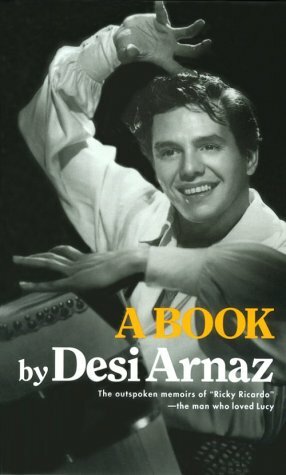 Beginning in Santiago, Cuba in 1917 where Mr. Arnaz was born, this book shows you the life of privilege he led as a young man when he was heir to the Bacardi fortune. When Batista came to power all that changed. In the 1940's he went to Miami where he was spotted by Xavier Cugat. He became a singer in Mr. Cugat's band and carved out a small reputation for himself at the same time. From Miami he went on to lead the country through the "Conga" craze along with Carmen Miranda and her fruited headpieces. He then went on to Hollywood and some minor roles before being cast with Lucille Ball in some "B" movies. From there it's all, as they say, history. Mr. Arnaz takes us through the years of "I Love Lucy", giving us a "cooks tour" of not only the show but the thought process which was behind it.This is the show that really set the stage for many of the sitcoms that we have enjoyed over the years. This was also the show that introduced us to the use of 3 camera angles, a process still in use today. He also chronicles the changes in his relationship with Lucy that finally led to their breakup in 1960. The difference between this book and the two earlier books, "I Love Lucy" and "Desilu" is astounding. This book is so much more than just the story of the TV show. This is Desi Arnaz telling the story and history of his family fortune and its' subsequent loss. It is also the story of Miami and the entertainment scene in the 1940's. It's also a look behind the mind of the man who just about invented "residuals" for TV sitcoms. Not to mention taping the shows to begin with. Fans of Lucy and fans of TV History will love this insightful and snappy book. It crackles from the opening page to the last. The author spares no one- himself included- in an effort to tell the tale correctly, even though it often casts him in a poor light. Though they both remarried, they remained friends for the rest of their lives. There was just too much passion for their own marriage to endure. An honestly written, straight from the heart autobiography, this is one of those books that you simply don't want to pass up. In short, this is a tremendously appealing and entertaining book.